1. Namestie Majstra Pavla, November 2002. The winter of 2002 was a memorable one for me. Among the many adventures enjoyed during those freezing cold Slovak months was a fantastic magical mystery tour bus trip around the country with my newfound friends and teaching colleagues. The little town of Levoča, situated in the Prešov region of Eastern Slovakia, was just one of many stops we made over a three day journey. With only an hour or so to jump off and enjoy its olde-worlde feel and UNESCO-endorsed architecture, there was no time to lose! It was a chilly, grey afternoon and there was an almost unnerving feel to the deserted old town square. 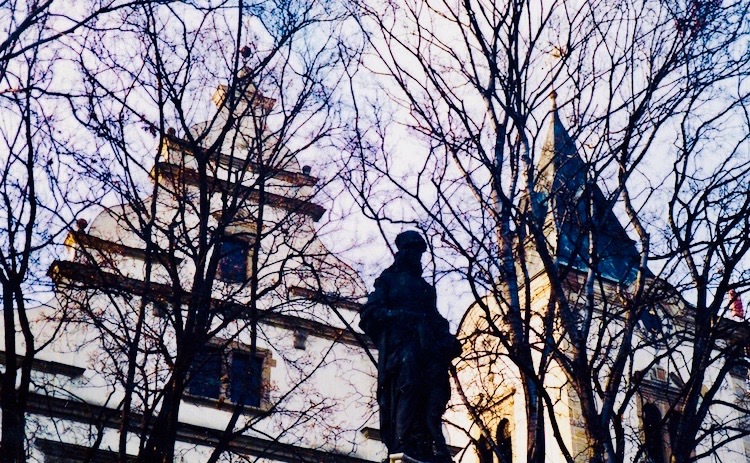 Protected by a squadron of ghostly trees, this imposing statue of Ludovít Štúr holds court. Štúr was a nineteenth century politician, poet, journalist, teacher, philosopher and linguist. 2. Namestie Majstra Pavla, November 2002. Despite only having an hour, I must have spent a good ten to fifteen minutes in and around the square, marveling at the architecture with an inescapable feeling that I was walking around on the set of some historical Slovak drama. One that could perhaps transform into a nightmarish horror at any moment. 3. 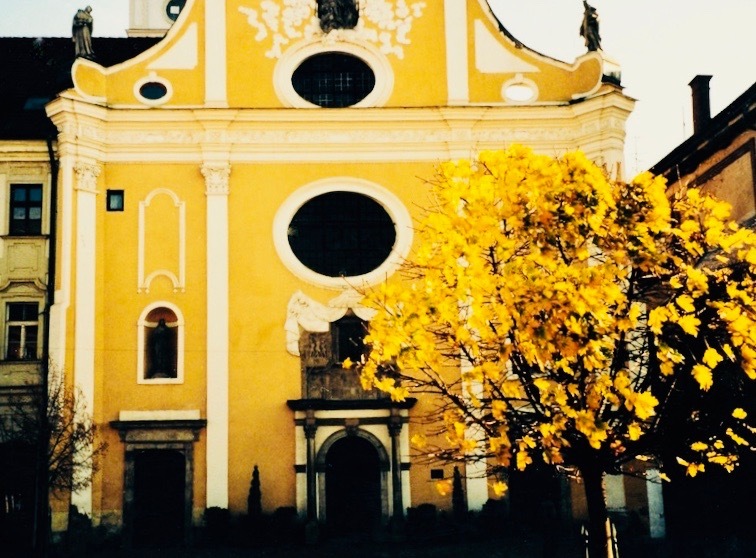 Baroque Church, November 2002. 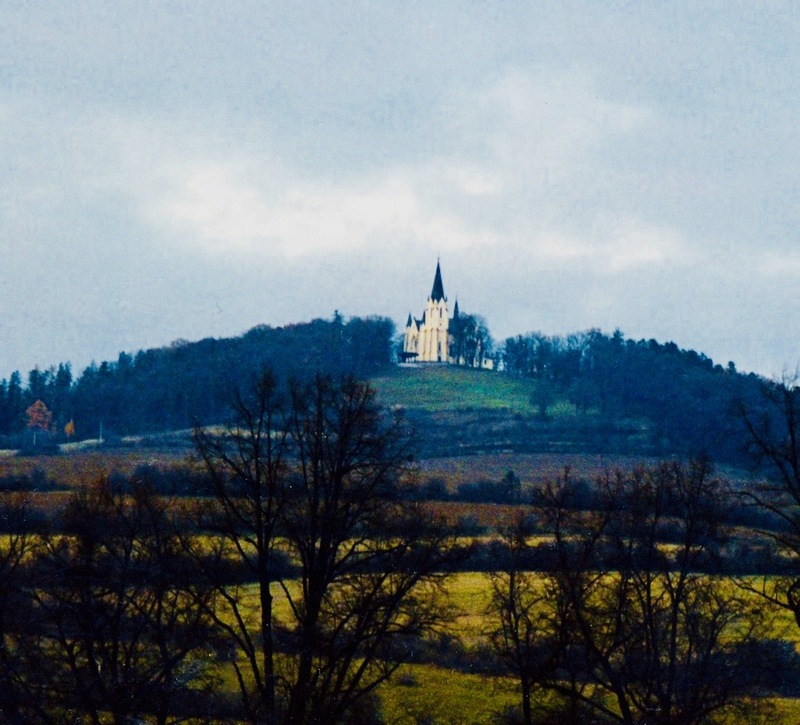 Levoča has a population of around fifteen thousand people, though I don’t recall seeing so much as a single local during our explorations. If I remember correctly it was a Sunday so the shops were all closed, as were the handful of churches we came upon, like this one. This desolation actually helped with the pervasive sense of history oozing from the town. Nearly a thousand Jews, a large chunk of its community, were carted off to concentration camps during The Second World War, while in the summer of 1995 a staggering six hundred and fifty thousand people descended on the area for a visit by Pope John Paul II. 4. Cage Of Shame, November 2002. Levoča’s wrought iron Cage of Shame was a quirky highlight, especially as it seemed like the perfect place for an annoying member of our party. 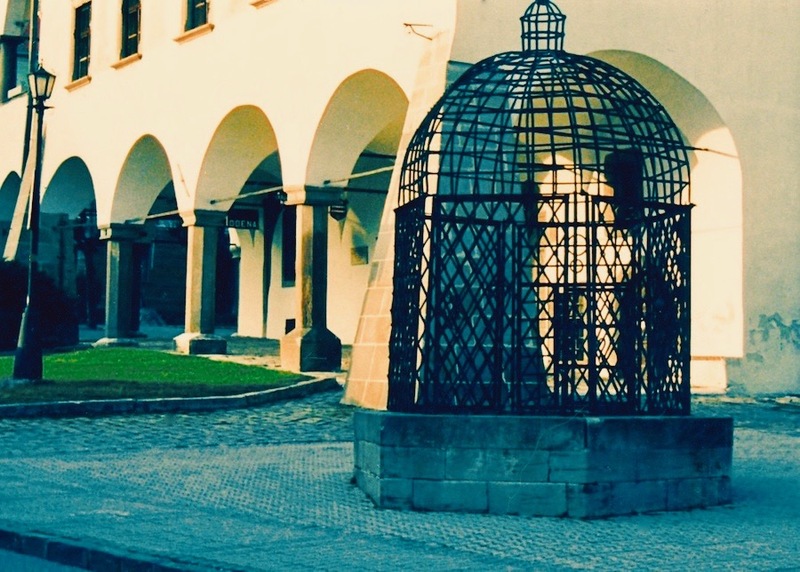 Erected in the sixteenth century, the cage used to be decorated with lilies and hearts, strange really when you think that it was used to publicly punish thieves and disobedient women! For those unfortunate enough to be handed cage time, it was the norm to be hit with a barrage of verbal abuse and to be spat at. 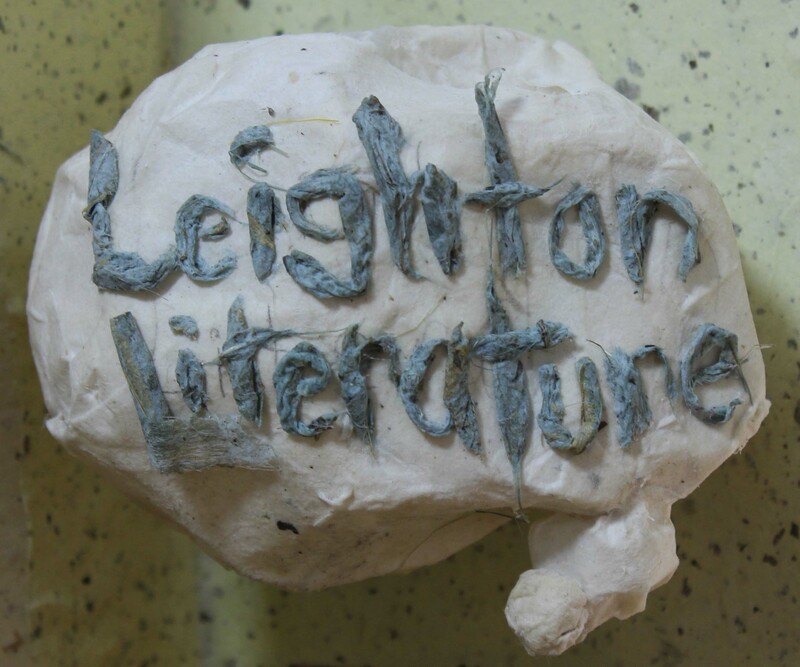 And if you were really lucky you might be treated to a face full of rocks and rotting vegetables. 5. Distant Castle, November 2002. The last thing we caught before heading back for the bus was this magnificent view of the surrounding hills on the edge of town. Was it a castle? Was it a church? Was it someone’s amazing mansion? I never did find out. “This should be an album cover!” exclaimed my mate Paul, the words that will forever go hand in hand with this image. For more on these long ago adventures, take a look at my other 5s from around Slovakia. looks like a curious place. really enjoyed the roadtrip stories too!